Bistro is warm, Bistro is family. Bistro is robust soups and rustic salads, wine-scented stews, bubbling gratins, and desserts from a grandmother’s kitchen. Bistro is everyday china and elbows on the table and second helpings. It is best friends over for no particular reason. Bistro is earthy, not fussy, easy, not painstaking. And Bistro Cooking presents 200 no-nonsense, inexpensive, soul-satisfying recipes inspired by the neighborhood restaurants of France. 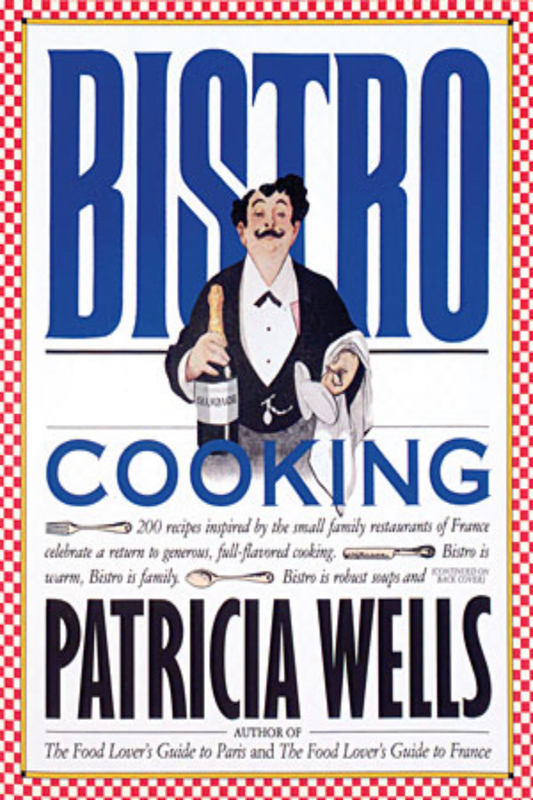 Patricia Wells is a journalist, author, and cooking school teacher who has lived in France since 1980. She runs her cooking school, At Home with Patricia Wells, in both Paris and Provence, where she lives with her husband, Walter, retired executive editor of the International Herald Tribune. She was honoured with the Versailles World Cookbook Award: For Best Promotion of French Cuisine, and Bistro Cooking was included in the New York Times list of: “The top 50 cookbooks I’d rather not live without”.